Jane Meagher has had to overcome many challenges in her life. Her father abandoned her and her mother before she was born. Jane was emotionally abused by her mother and her stepfather. Jane was also molested by her stepfather. Jane knew there was something seriously wrong with her but was unable to verbalize this. She had acute ADHD that was unheard of in 1955 in England. Jane was unable to concentrate and therefore failed academically, and was labeled lazy. Jane always knew she was smarter than many of her peers but could not demonstrate this. At 14 Jane had her first encounter with Alcohol and had never had such an exhilarating experience. After two drinks she could feel her brain slowing down and she was able to focus. The knot in her stomach had disappeared and she felt no fear. Jane went on to self-medicate using alcohol for forty years. She was still able to accomplish a lot, but had to be self-employed to keep her mind stimulated. In her early fifties, Jane was finally diagnosed as being ADHD and misdiagnosed with Manic Depression. Later Jane was correctly diagnosed with Complex-PTSD. Both ADHD and C-PTSD cause acute anxiety. C-PTSD is trauma that happens over a period of time often in childhood as with Jane. With the appropriate medication, Jane has not had a drink for over a decade. However, her anxiety was still acute. A close friend suggested Transcendental Medication. Reluctantly Jane signed up. She had tried many types of meditation and knew this would not work. Nothing was going to quiet her mind down. Her TM teacher was wonderful and Jane followed her teacher’s instructions. She was to meditate for twenty minutes. This is going to be a long twenty minutes Jane thought. The next thing Jane knew was her teacher told her to slowly open her eyes. Slowly Jane opened her eyes having been in what she could only describe as a state of zen. Jane had never experienced such a feeling of calm. Her feelings of anxiety and fear were non-existent. Finally, Jane had found a secret weapon she could use anytime, anyplace, and that tool was Transcendental Meditation. You will be able to read more about Jane’s inspiring journey, in her upcoming book. Living to Drink, Drinking to Live. Jane Meagher is a Speaker, Trainer, and Consultant who brings more than 25 years of her personal and learned experiences to her business. Her background in Human Behaviour, World Religions, Addiction, Trauma and Typology (the study of personality types) as well as her ability to relate to people of all circumstances have contributed to many highlights in her career. For over twenty-five years Jane Meagher has been designing and delivering training programs and workshops. She designed and implemented numerous Business Skills and Entrepreneurial training programs for Service Canada (Human Resources Development Canada), Other clients have included: T.D. Bank, Canadian National Railway, Cambrian Credit Union and many other organizations. In 1998, Jane was commissioned by the Workers Compensation Board to design their model for Mastering Service Excellence. 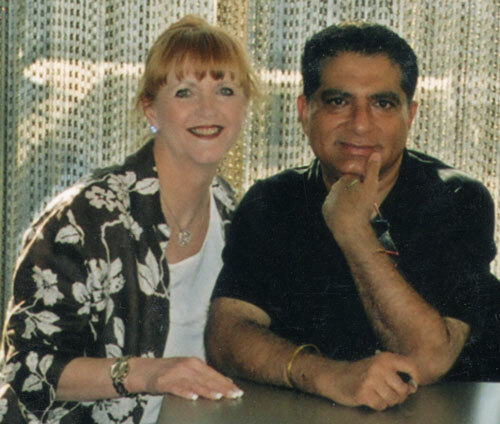 In 2003 Jane raised the capital to bring Dr. Deepak Chopra to Canada for a National Tour of speaking engagements. One of the training programs Jane designed for Human Resources Development Canada and delivered to individuals in receipt of Employment Insurance was a 22-week Practical Business Skills Program. This program was delivered twice a year for five years. The objective of this program was to assist participants in transferring existing skills for re-employment or consider self-employment as an option. In the first Practical Business Skills Program Jane introduced her participants to Toastmasters by having a Toastmaster come once a week to chair a Toastmasters class. Toastmasters teaches people how to speak eloquently which is paramount in self-marketing for a job or selling a business concept. The group appreciated this so much they decided to go ahead and charter their own Toastmasters Club. The club was called the PBS Toastmasters Group after the practical business skills program. Years later the PBS toastmasters Group is still going strong and has won numerous awards.